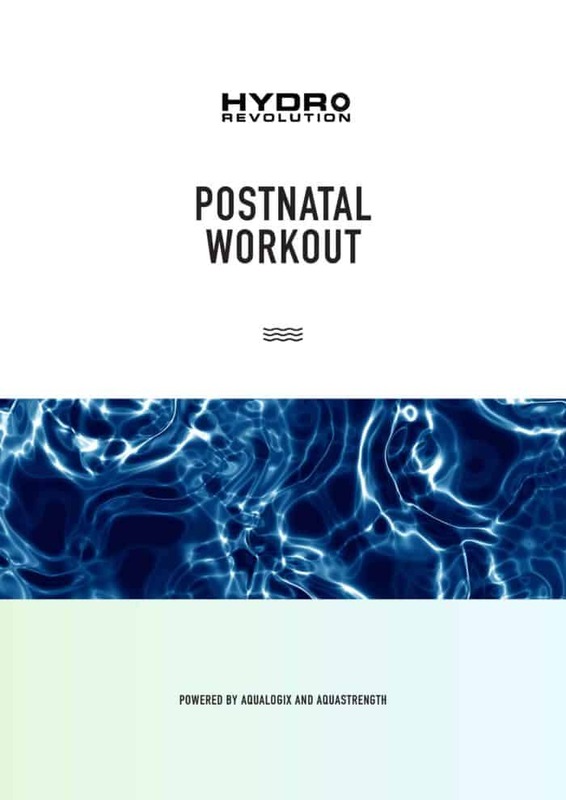 The Hydrorevolution Postnatal Workout has been designed to help get you back in shape safely and efficiently after pregnancy. 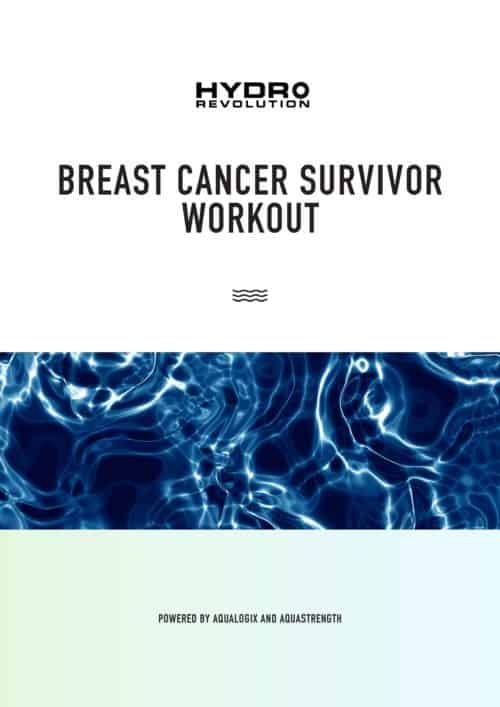 The exercises within this program have been designed to help restore muscle strength, correct and regain good posture, balance and coordination, improve cardiovascular fitness, help assist with weight loss and condition your core. 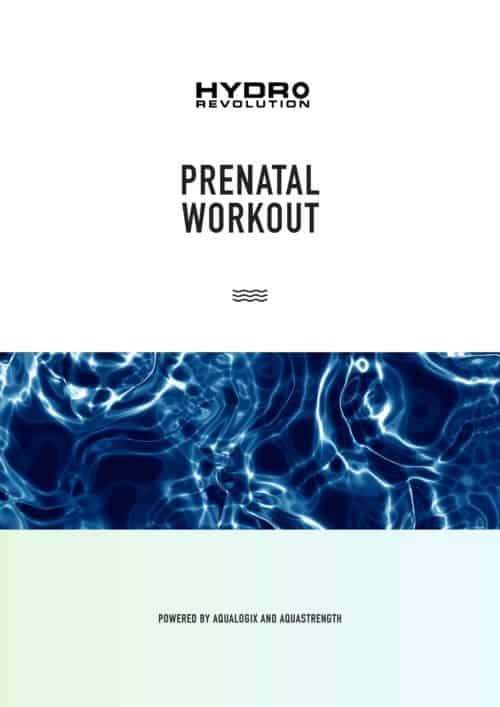 During all exercises it is important to remember to brace your spine by drawing in your lower abdominals and lift and squeeze the pelvic floor. 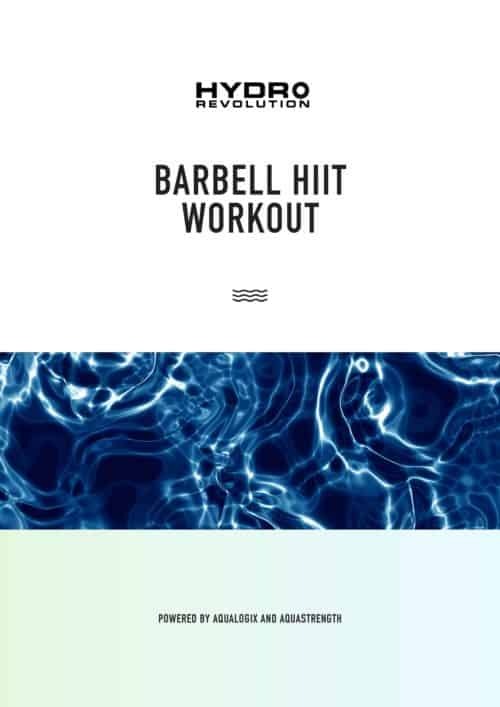 To complete this workout you will need a set of Aquastrength OR Aqualogix Bells and Fins (Total Body System Bundle). 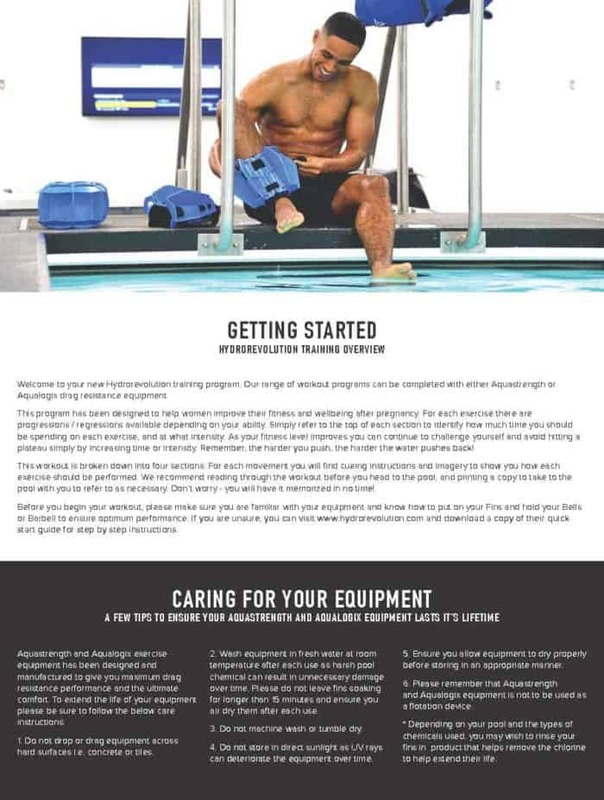 Remember to always consult your healthcare professional before beginning any new exercise program.